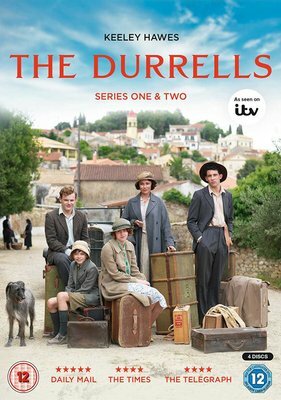 A warm, funny, feel-good series about a family’s adventures on a gorgeous Greek island when they uproot from their English home in the hope of a better life. Based on Gerald Durrell’s much-loved Corfu trilogy of novels, The Durrells sees impoverished but sparky widow Louisa Durrell make the radical decision to seek out a new destiny for her family when her options in late 1930s England seem to be limited to struggling on or marrying a wealthy but dreary older man. Concerned that the lives of her four ‘children’, are heading down the wrong track, she relocates her reluctant brood to a dilapidated house in the Greek sun. This beautifully-shot series follows the family as they adjust to their new life, face a whole new set of challenges and meet new friends, rivals, lovers – and animals.